NVIDIA today announced several developments that reinforce NVIDIA® GeForce® GPUs as the core platform that allows game developers to add real-time ray tracing effects to games. Integration of real-time ray tracing into Unreal Engine and Unity, the world’s most popular commercial game engines. NVIDIA is adding ray tracing support to GeForce GTX GPUs(1), giving developers a massive installed base of tens of millions of gamers. The introduction of NVIDIA GameWorks RTX™, a comprehensive set of tools and rendering techniques that help game developers add ray tracing to games. New games and experiences that showcase real-time ray tracing such as Dragonhound, Quake II RTX and others. Game engines are software development platforms that include all the core functionality developers need to create video games, from authoring and scripting to AI, physics and rendering. Integrating into game engines new features such as real-time ray tracing can accelerate the development process. It also makes the features available to all users of a game engine, which include engineers and programmers as well as content creators and artists. 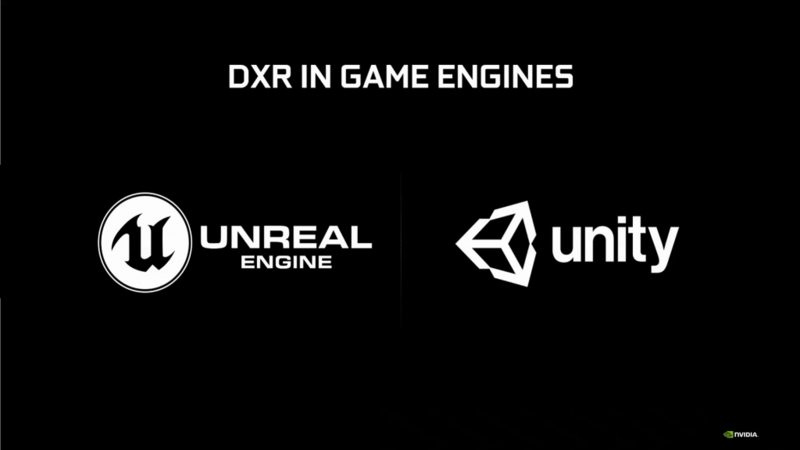 Two of the world’s most popular commercial game engines, Unreal Engine and Unity, have announced the imminent integration of ray tracing features, which game developers will use to add ray-traced effects that can run in real time on NVIDIA GeForce GPUs. Unreal Engine 4.22 is available in preview now, with final release details expected in Epic’s GDC keynote on Wednesday. Starting on April 4, Unity will offer optimized, production-focused, real-time ray tracing support with a custom experimental build available on GitHub to all users with full preview access in the 2019.03 Unity release. Real-time ray tracing support from other first-party AAA game engines includes DICE/EA’s Frostbite Engine, Remedy Entertainment’s Northlight Engine and engines from Crystal Dynamics, Kingsoft, Netease and others. NVIDIA GeForce GTX GPUs powered by Pascal and Turing architectures(1) will be able to take advantage of ray tracing-supported games via a driver expected in April. The new driver will enable tens of millions of GPUs for games that support real-time ray tracing, accelerating the growth of the technology and giving game developers a massive installed base. With this driver, GeForce GTX GPUs will execute ray traced effects on shader cores. Game performance will vary based on the ray-traced effects and on the number of rays cast in the game, along with GPU model and game resolution. Games that support the Microsoft DXR and Vulkan APIs are all supported. 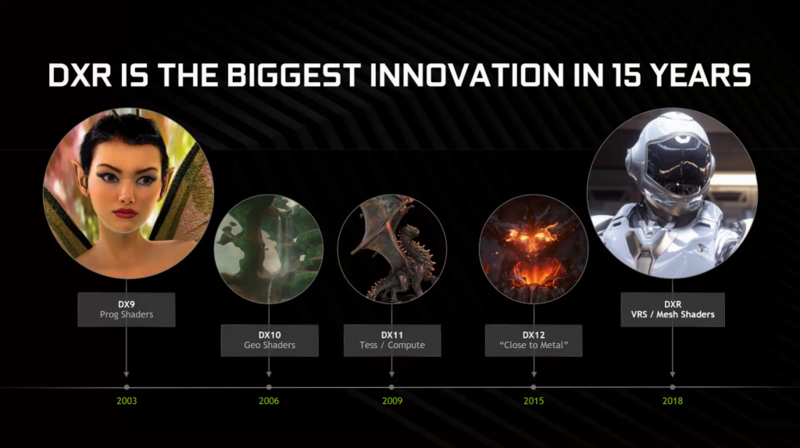 However, GeForce RTX GPUs, which have dedicated ray tracing cores built directly into the GPU, deliver the ultimate ray tracing experience. They provide up to 2-3x faster ray tracing performance with a more visually immersive gaming environment than GPUs without dedicated ray tracing cores. NVIDIA GameWorks RTX is a comprehensive set of tools that help developers implement real-time ray-traced effects in games. GameWorks RTX is available to the developer community in open source form under the GameWorks™ license and includes plugins for Unreal Engine 4.22 and Unity’s 2019.03 preview release. RTX Denoiser SDK – a library that enables fast, real-time ray tracing by providing denoising techniques to lower the required ray count and samples per pixel. It includes algorithms for ray traced area light shadows, glossy reflections, ambient occlusion and diffuse global illumination. Nsight for RT – a standalone developer tool that saves developers time by helping to debug and profile graphics applications built with DXR and other supported APIs. More details on GameWorks RTX is available at https://developer.nvidia.com/rtx. Control — watch a new demo video from Remedy Entertainment featuring ray-traced global illumination, reflections and shadows. Dragonhound — visit NVIDIA’s GDC booth to check out Nexon’s upcoming online action RPG monster battle game that will feature real-time ray-traced reflections and shadows. Quake II RTX — uses ray tracing for all of the lighting in the game in a unified lighting algorithm called path tracing. The classic Quake II game was modified in the open source community to support ray tracing and NVIDIA’s engineering team further enhanced it with improved graphics and physics. Quake II RTX is the first ray-traced game using NVIDIA VKRay, a Vulkan extension that allows any developer using Vulkan to add ray-traced effects to their games.